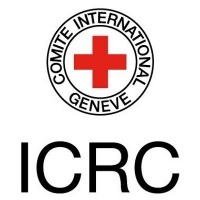 The International Committee of the Red Cross (ICRC) helps those affected by armed conflict and promotes compliance with international humanitarian law. It is pleased to present this project that contributes to development of the Cerebral Palsy section in Physiopedia and is used for the Cerebral Palsy MOOC (free open online course) which was fist deliverd in 2015. This course can now be accessed at any time for free in Physiopedia Plus (sign up for the trial account). With this content development project we intend to populate the site with practical, credible and thought-provoking information on all aspects of management of the individual with Cerebral Palsy. Much of this project is guided by curriculum for the Cerebral Palsy MOOC. Anyone is welcome to join in this project. You will be joining people from all over the world in contributing evidence based articles to create an evidence based reference on management of individuals with Cerebral Palsy. In return for your efforts you will receive a certificate of completion to help you evidence your learning through your involvement with this project.